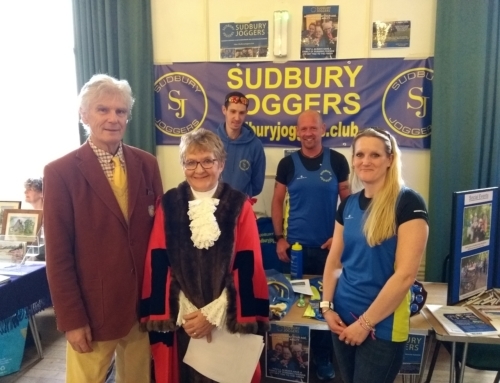 This weekend Sudbury Joggers had a lot of members out running marathons in some very, very hot conditions. 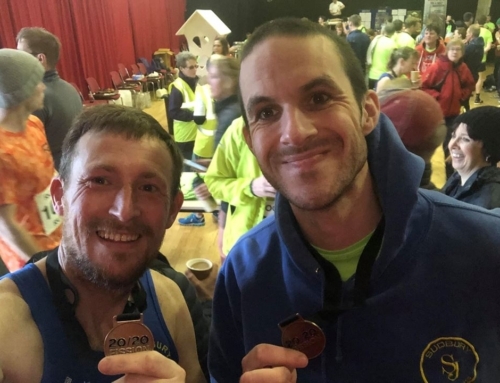 Running the Virgin London Marathon was Kieran Hayles (02:56:46), Piotr Bulacz (03:10:42), Todd Lewis (03:21:17),Rebecca Evans (03:42:56), Emma Drury (03:47:00), Nefise Onbasi (03:49:20), Sally-Ann Bowen (03:51:40), Jackie Hann (03:54:11), Jeremy Smith (03:58:16), Melissa Dowell (03:59:22), Dee St Ledger (04:07:14), Gary Crowley (04:49:20), Dean Breward (04:55:37), Emma Clark (05:02:04),Brian Bloomfield (05:02:27), Jules Cooper (05:03:12), Samantha Cooper (05:36:42), Emma Ruane (05:40:04), Melonie Evans (05:40:04), Sue Moye (06:51:45) and Anne Argent (07:54:40). 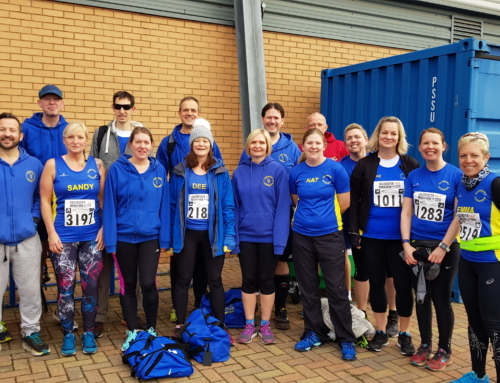 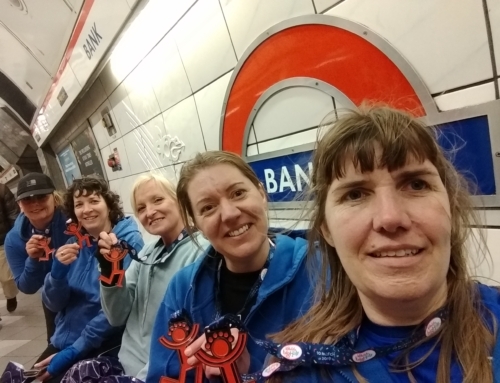 Away from the capital we had Clare Gillibrand, Sally Sandford, Sheila Buck, Bianca Burman & Justine Ambrose run the Breckland Trail Marathon near Thetford.